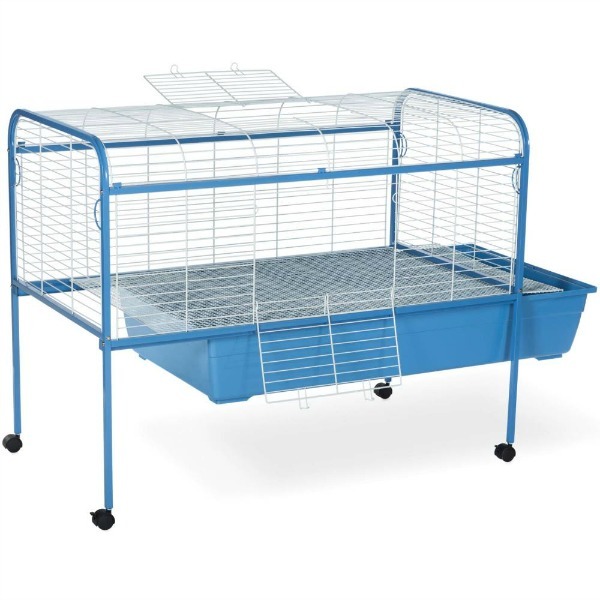 Prevue Pet Products Small Animal cage with Stand Powder Blue & White 620 is ideal for a variety of small animals including rabbits and guinea pigs. Two large doors, one on the top and one on the side, allow you to easily access your precious pet. 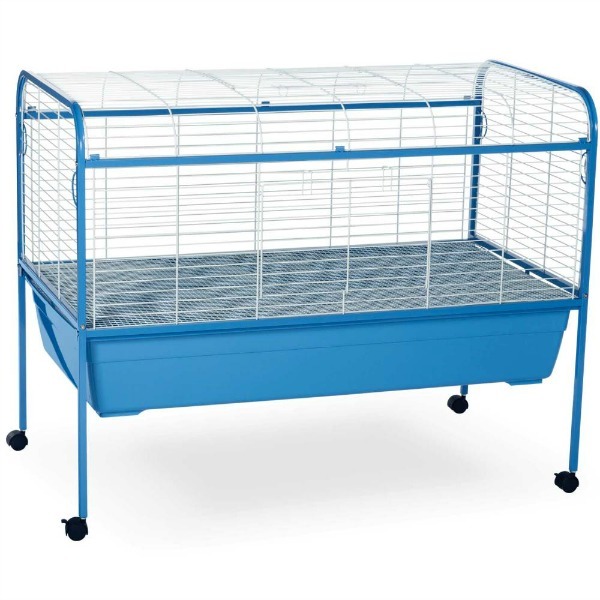 Tubular steel stand sits on casters so cage can easily be moved from room to room or even from indoors to outdoors. Non-toxic powder coated finish cleans up quickly while the extra deep 6 1/2 inch plastic pan contains mess.